Trailer wheel lug nut fits 1/2" diameter wheel bolts and is crafted from stainless steel for superior durability and corrosion resistance. 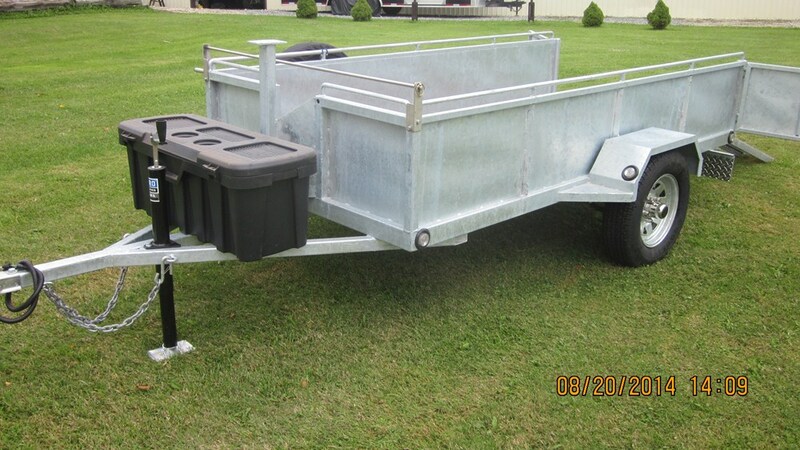 Call 800-298-8924 to order Americana accessories and parts part number AM90054 or order online at etrailer.com. Free expert support on all Americana products. 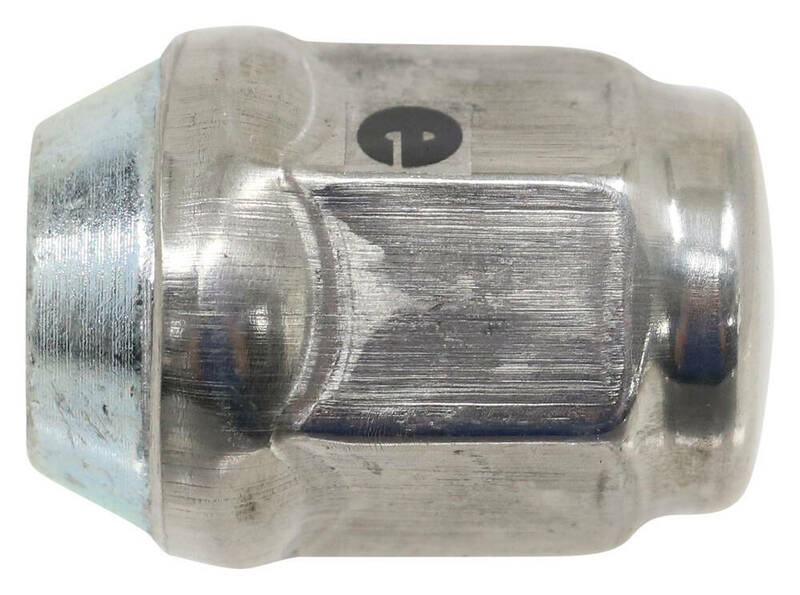 Guaranteed Lowest Price and Fastest Shipping for Americana Trailer Wheel Lug Nut - 13/16" Diameter - Stainless Steel - 1/2" - 20. Accessories and Parts reviews from real customers. Trailer wheel lug nut fits 1/2" diameter wheel bolts and is crafted from stainless steel for superior durability and corrosion resistance. Today we're going to review part number AM90054. This is the Americana, half-inch by twenty, stainless steel, trailer wheel lug nut. 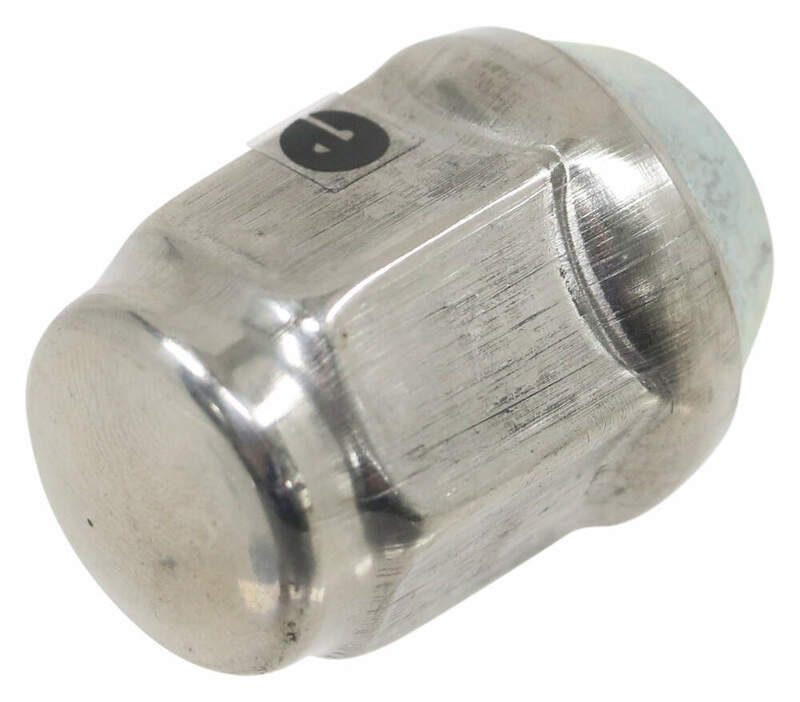 This lug nut is constructed of a steel, and it has an outer cap that is stainless steel. It give you maximum durability and corrosion resistant. 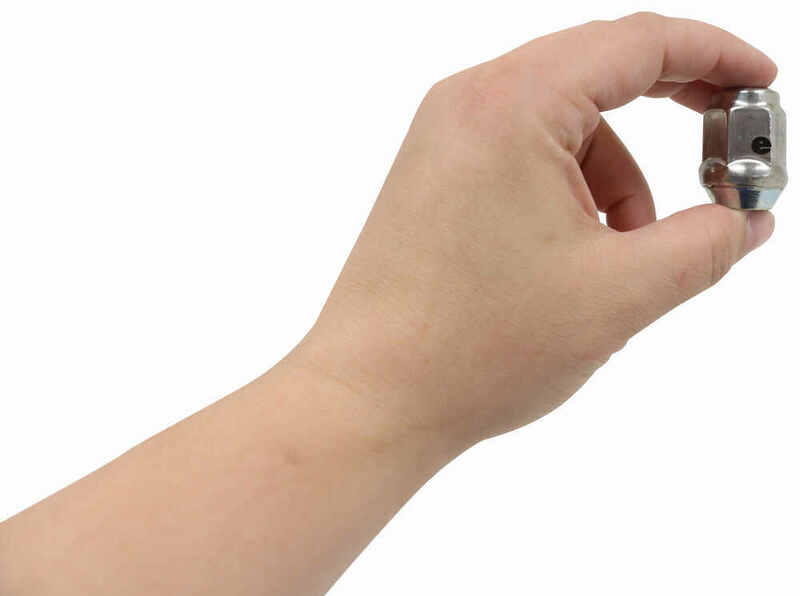 It is designed to fit wheel bolts that are half inch by twenty, and basically that means the diameter of the bolt is a half inch, and 20 threads per inch. You can also see it has the 60 degree cone to it, to fit the 60 degree taper on the wheels. The length on this, this is a closed end. Total length on this, overall length is going to be right at 1 and a quarter inches. It does require a hex head size, or a socket size of 13/16ths, I happen to have, I pulled a socket of 13/16ths, and you can see it fits right on for removing and installing. The other nice thing is, let me show you here, I pulled a trailer wheel, and you can see a lot of the trailer wheels just have a normal open end lug nut that's on there to hold it on. When you use this one, it sort of adds a little nice finish to it. It has a closed end, it's a little bit taller, it makes it easier to grip with your socket. That should do it for the review on part number AM90054, the Americana, half inch by twenty, stainless steel trailer wheel lug nut. 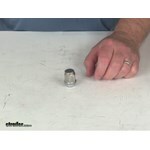 Order: RelevanceNewestRating - High to LowRating - Low to High Trailer wheel lug nut fits 1/2" diameter wheel bolts and is crafted from stainless steel for superior durability and corrosion resistance. Still looks great after a year! These lug nuts turned out to be junk. They are a two piece design and the first time I took a wheel off the two pieces split on two of the lug nuts. Wheels had been correctly torqued. Purchased one piece lug nut replacements and experienced a 50 failure rate when removing nuts from all four wheels. Terrible product. Yes, we do have enclosed end stainless steel lug nuts. For 1/2"-20 threads we have # AM90054, # AM90070, or # KALN1375S. The 1/2"-20 type is the only type we have in this configuration. The standard torque on a Redline Trailer Wheel Lug Nut - 9/16 inch, part # 6-53, is 135 to 145 ft lbs. This is the torque range that is normally used. If the instructions for the wheel are saying 110 ft lbs there might be a reason, like the wheel material, why they are recommending a lower torque. I think 170 ft lbs is too high for a 9/16 inch lug nut. I went out to the warehouse and pulled several of the lug nuts to inspect and test them. 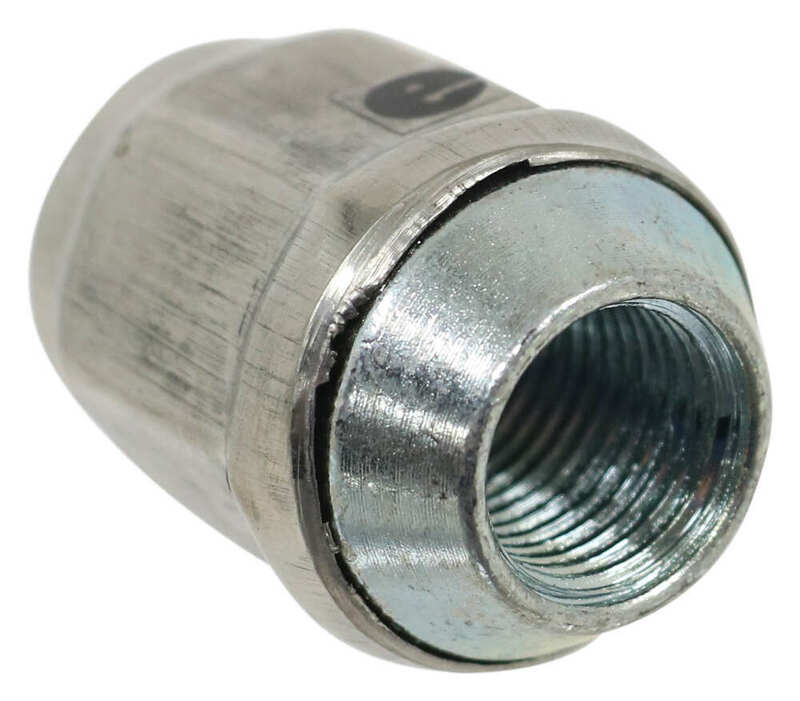 The Americana Trailer Wheel Lug Nut - Stainless Steel, # AM90054, do have a stainless steel cap. The inside (threads) are not stainless steel but do have a corrosion resistant coating. 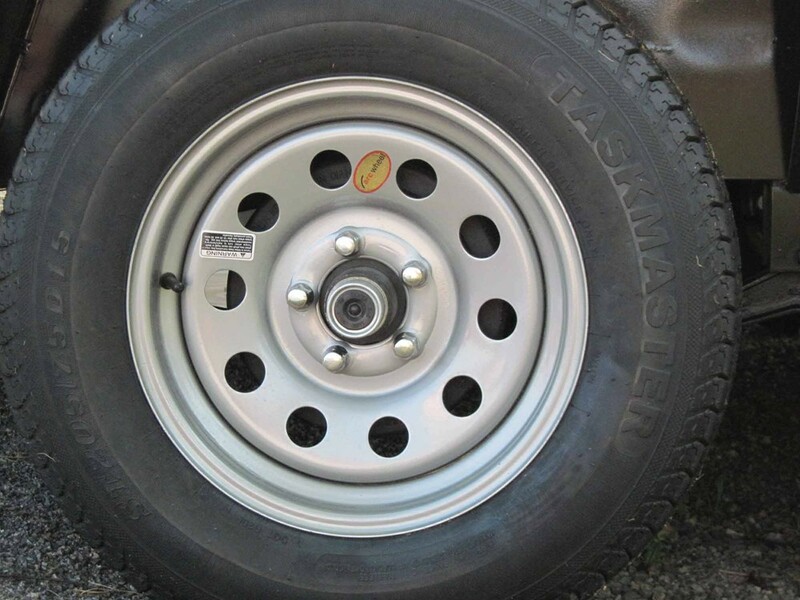 The Aluminum Hi-Spec Series 6 Trailer Wheel 13 x 5, part # TTWAL0613545S, uses a 1/2 inch x 20 lug nut size, like the Americana Trailer Wheel Lug Nut - Stainless Steel, part # AM90054. This lug nut will have a torque rating of 75 to 85 ft. lbs. 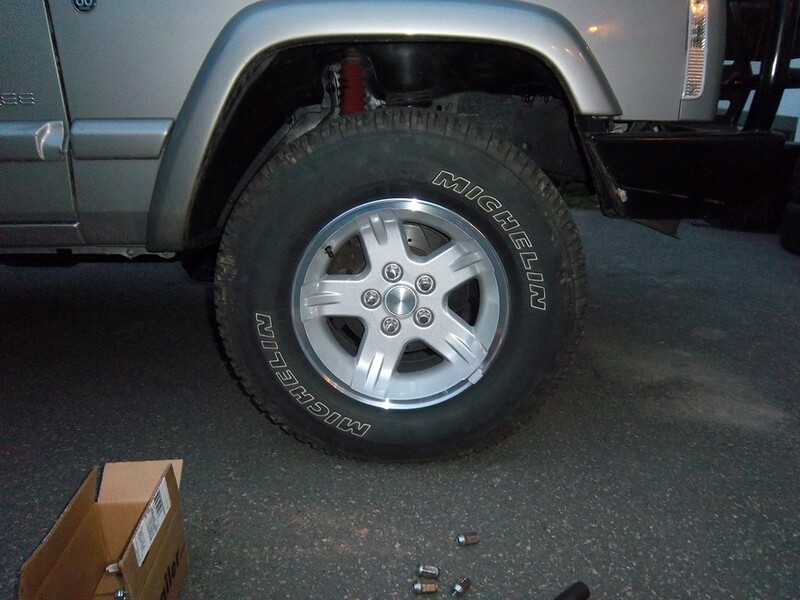 The wheel and tire combo part # AM31215 that you referenced would work well for you. Based on the lug dimension you gave me you have a 5 on 4-1/2 inch bolt pattern like this rim, the tires are very similar in overall diameter. The center cap part # AM90175 would work well with this wheel and the lug nuts part # AM90054 that you referenced would also work well as long as you have 1/2 inch wheel studs. The lug nuts you need are going to depend on the diameter of your wheel bolts. For example, the 3/4" Americana # AM90054 fits a 1/2" wheel bolt with 20 threads per inch while the 3/4" CE Smith # CE11050 fits 7/16"-20 wheel bolts. 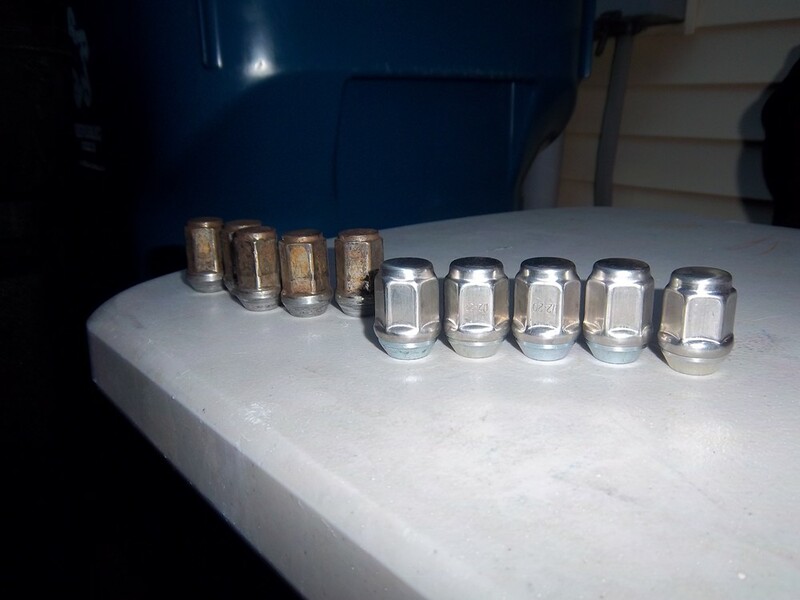 I've added a link to our page with each of our lug nuts for you so you can find the correct one for your application. The valve stem that you will want for the Hi-Spec Aluminum Split Spoke Trailer Wheel, # TTWALS514545, is part # AM20903. The valve stem hole in this wheel is not large enough to accept the Metal Bolt-In Valve Stem, # AM20906. A few other items that you may be interested in for this wheel are the Americana Wheel Center Cap, # AM90175, Wheel Lug Nuts, # AM90054, and the Wheel Lock Set, # RG01-150. The HWT Aluminum Hi-Spec Series 6 Trailer Wheel # AM20455 does not include lug nuts but we do offer suitable stainless-steel lug nuts as separate items, part # AM90054. An adjustable Telescoping Lug Wrench # LW405 is also offered. For your reference I have linked a product review video for these HWT wheels. The torque specs for your 2008 ce7 Canadian Trailers car trailer will be dependent on the lug nut size. The axle capacity and whether or not it has electric brakes will not change the specs for the wheel lug nut torque. I've attached a chart to help. 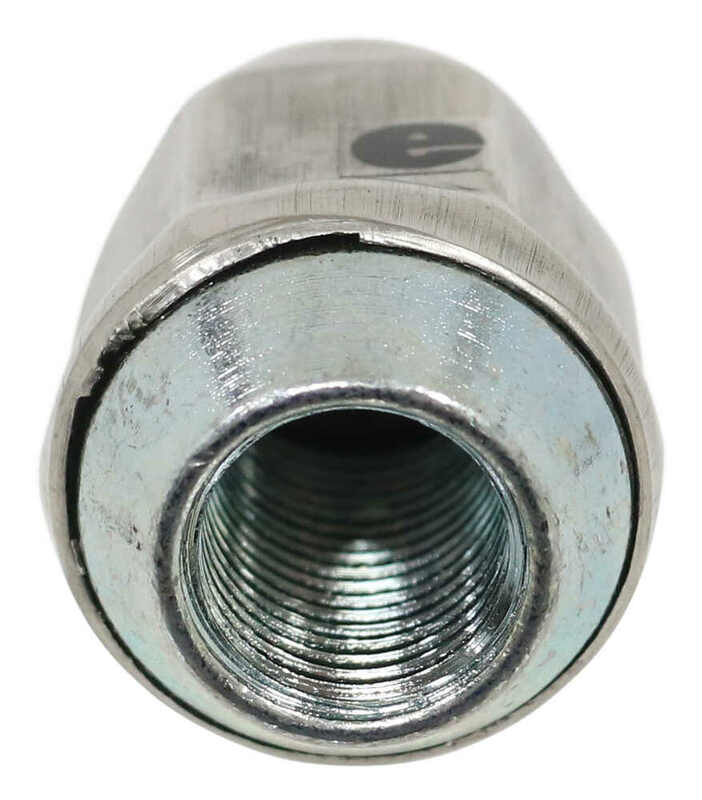 The Americana Trailer Wheel Lug Nut # AM90054 would require the use of a 13/16" socket. The style of lug nut that the reviewer you referenced is referring to would be like the Americana Trailer Lug Nut part # AM90054. You'll notice it has a lip around the base near where it contacts the wheel. That lip works great with the Hub Covers part # QT655C as it gives an edge for the cover to grab onto. The Americana aluminum wheel # AM22658HWT has a weight capacity of 3,580lbs. I checked with my contact at Americana, and the max air pressure is 110 psi. You also might want to check out the # AM90054 stainless steel lug nuts and the # AM90077 to round out the aluminum look. We have three different CE Smith lug nuts available. Two of them are for 1/2 inch diameter studs like the part # AM90054 and the part # CE11051. Difference between these two is the first part number is an acorn style that covers the entire stud and the other is more of a standard nut. 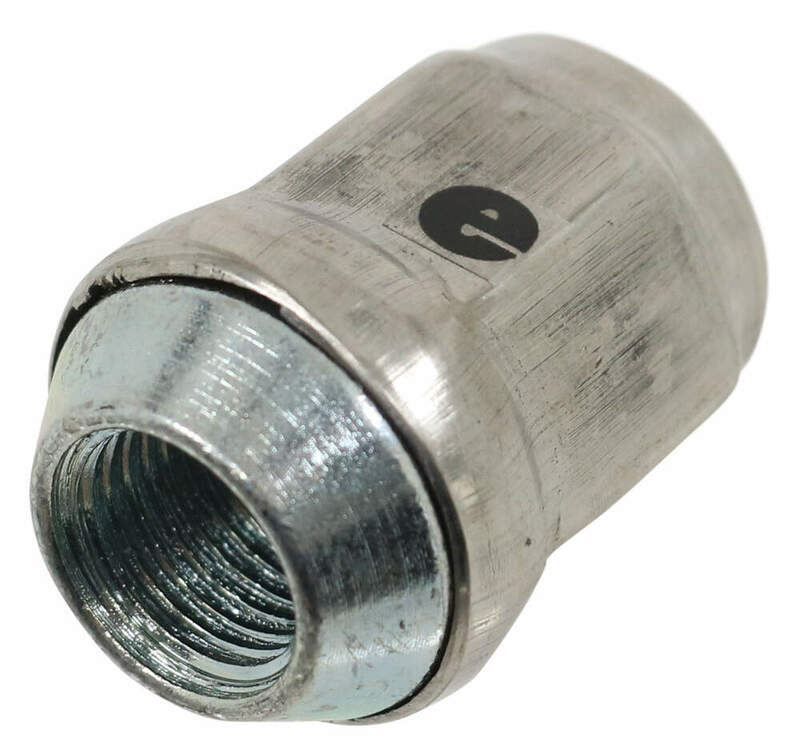 The lug nut we have for a 7/16 inch stud is the part # CE11050 which is also like a standard nut but beveled to fit a trailer wheel. The Americana Trailer Wheel Lug Nut # AM90054 should work well on your 2000 Ford Mustang since it has the same lug size as this. 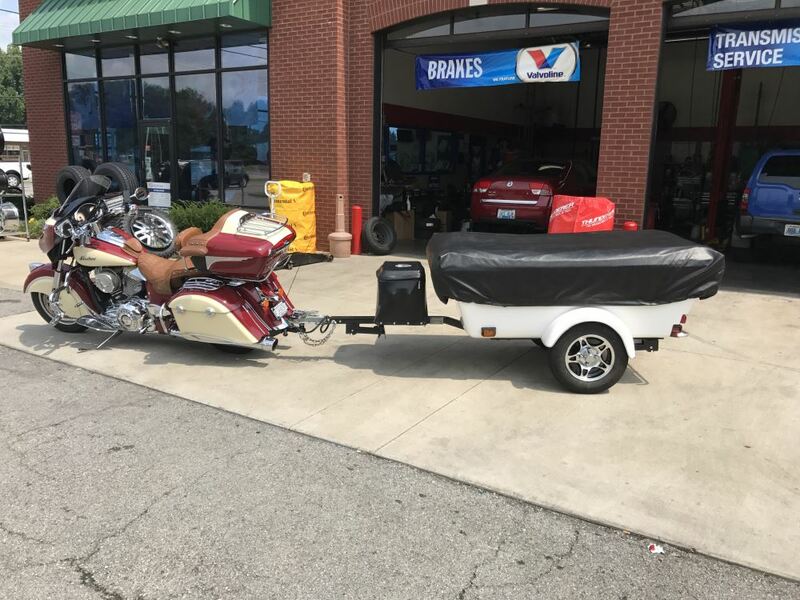 Trailer lug nuts are just as strong as vehicle lug nuts, you could almost argue that if anything the trailer lugs would have to be stronger considering how much weight trailers can see. If you need a 4-way to make wheel installation easier check out the Cross Lug Wrench # PTW1. We actually have a standard torque chart for lug nuts on trailer wheels. 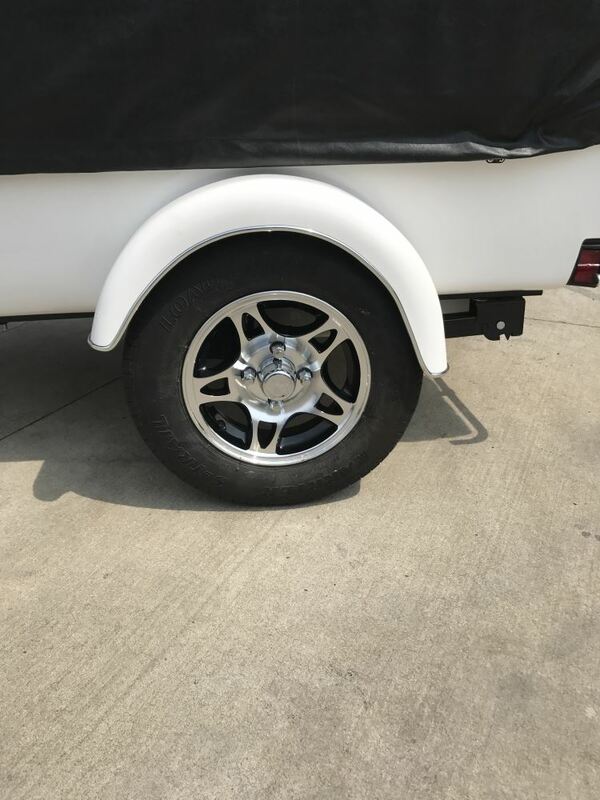 The 15" wheel that comes with the Provider ST225/75R15 Radial Trailer Tire # A225R645SM uses 1/2" - 20 lugs with a 60 degree cone. When looking at the chart you can see that the lug nuts, like part # AM90054, will need to be torqued to 90-120 ft-lbs.